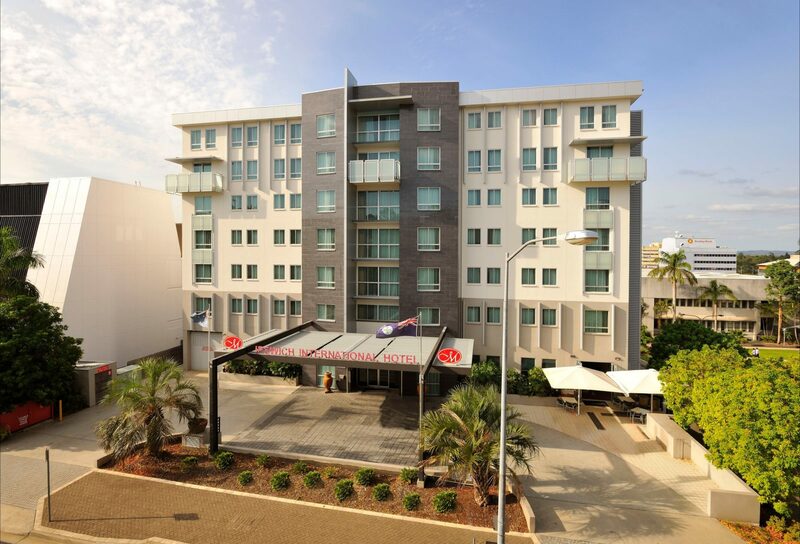 Metro Hotel Ipswich International is as central as it gets in the Ipswich Central Business District. 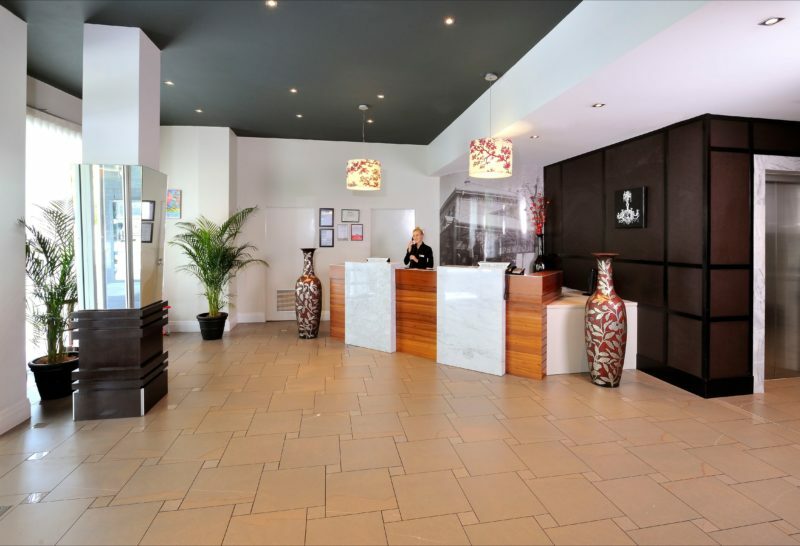 Situated next door to the Ipswich Civic Centre and Market Square Park, the hotel is the perfect place to stay if you’re in town for one of the large number of theatre and musical events in this arts-loving city. It’s also a popular venue for wedding receptions and conferences. Then there are the heritage walks, with Ipswich being renowned for its well-preserved historical public buildings, almost on the Metro’s doorsteps. 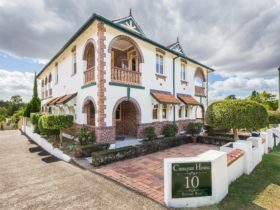 The six-storey hotel has tasteful minimalist décor, with some rooms having a view out to the stunning D’Aguilar Range while others can see up to the landmark water tower on Denmark Hill. Apartments with kitchenette are also available, and the hotel offers complimentary undercover parking in addition to complimentary NBN-backed wi-fi. 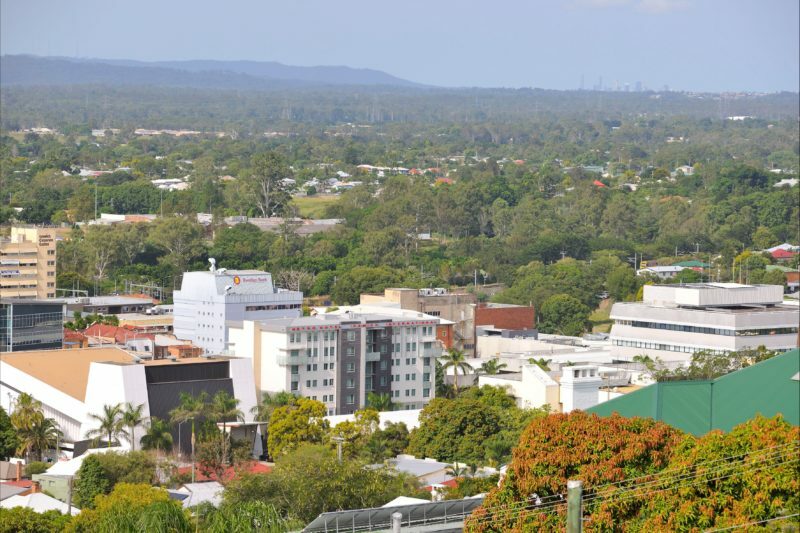 Harvest Restaurant and Bar offers buffet breakfast daily and Metro Hotel Ipswich International is also set amongst plenty of local cafes and restaurants within walking distance, including the award winning Pumpyard micro-brewery. 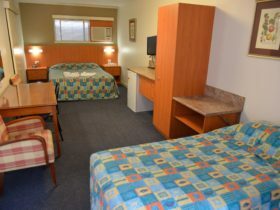 With a choice of either one queen bed or two separate beds. Suitable for up to two guests. 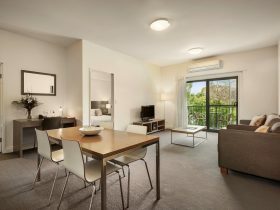 Self-contained, family-friendly apartment featuring a kitchenette with dishwasher, LCD television and DVD player and free internet. Their great city centre location is perfect for long stays or short overnight visits. 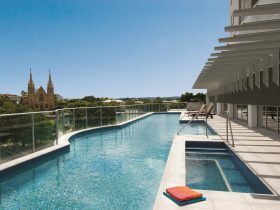 Metro’s family friendly apartment rates include complimentary under cover car parking and complimentary internet. Enjoy a leisurely drink in the hotel’s bar and dine in with the family at Harvest Restaurant and Bar. Room contains one queen bed and one single bed. 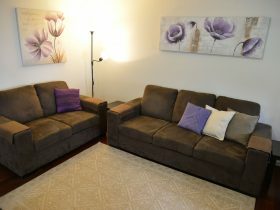 Double sofa bed also available. Suitable for up to five guests.